Recharge and power your USB powered devices without the need for a computer. 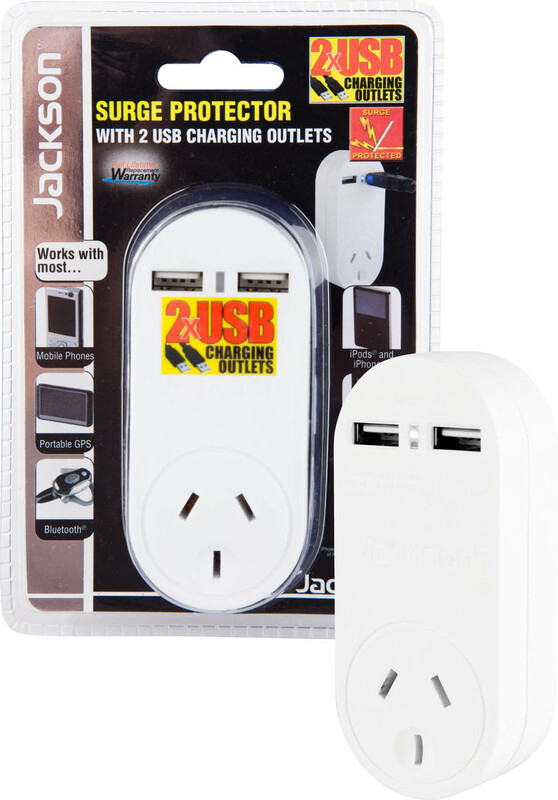 The unit features 2 x USB charging outlets, a power status indicator and a surge protection 240V outlet. Works with nearly all devices that charge via USB including iPods, iPhones, iPads, Mobile Phones & more.